- What reality do those who develop art projects find in contexts on the margins, away from the nucleus of decision and artistic display? - In the course of our work as artists or managers, does art have any relationship with awareness, creating new audiences, or energising? - How to build strategies for promotion and involvement in often dispersed and heterogeneous environments? - Does the countryside need to create its own strategies and promotion? Creators working in rural areas often find a very different reality from those living in more urban contexts. 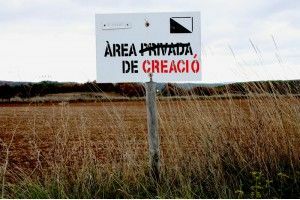 Rural areas, in spite of representing 90% of Catalan territory, are often invisible. The rural has been often associated with folklore and popular culture but in rural areas there are many varied artistic activities which, although developed in these environments, should not be marginalised or disregarded. There is no reason why so-called rural contexts should find themselves banished to the margins of creation. Given the diverse and heterogeneous reality of the creative scene in our country's rural areas, From the Margins, a space for debate and sharing the different experiences of artists, promoters and managers making artistic and cultural proposals in rural areas, has been suggested. The debate will be guided by artist, researcher and educator Marta Ricart which, beginning with the results of PRISMES (a creative and collaborative research which explores the dynamics, projects and realities of certain artistic proposals developed in rural areas), proposes an open approach to share, reflect and make visible what it means to create artistic processes in rural areas. (*) ACVic-SBG is a program which connects art-nature-rural context. It is developed in collaboration between ACVic and the Municipality of Sant Bartomeu del Grau. References from the participants: Cal Gras, Campo Adentro, Centre d’Art i Natura de Farrera, Cacis Forn de Calç, Idensitat, Nau Coclea, Priorat Centre d’Art. Marta Ricart. Bachelor in Fine Arts. Faculty of Fine Arts. Facultad de Bellas artes. Universitat de Barcelona, Doctorate studies ( awaiting thesis presentation) . Participation in courses, conferences, seminars and workshops concerning education, art and community revitalisation in different contexts at Birmingham, Budapest, Sao Paulo. Professor of Visual education at secondary school. Associate Professor of Arts Education. Postgraduate Coordinator and trainer in Visual Culture Studies, Facultad de Bellas artes. Universitat de Barcelona. Teacher trainer in creative strategies for social activism. b. Research grants: Jaume Bofill Foundation, Universitat de Barcelona, Conseil de la Europe, Polis Institute project , CUENCA. Participation in various research projects, conferences, congresses and seminars. 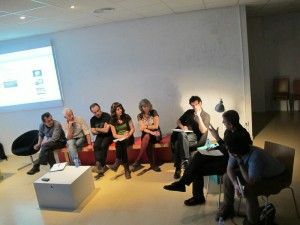 Realisation of visual arts projects for community revitalisation with various collectives and different environments, and with different age groups throughout the Catalonian region. Creation and development of the project ACNE. Artistic revitalisation in rural areas. Contemporary art projects for rural revitalisation in the county of Solsones. Published author and contributor of articles for: Cuadernos de Pedagogía, Aula de Innovación Educativa, Fundación Pere Tarrés, Ediciones el Serbal, Fundación Jaume Bofill Colección Ventana Abierta, Cuadernos de Acción Social y Ciudadana Generalitat de Catalunya. Founding partner of Teleduca. Education and Communication SCP, Co-founder of the Association Artibarri. 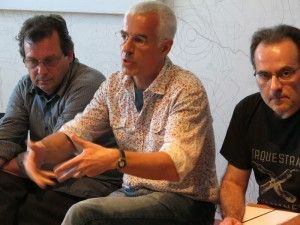 Creative Communities for Social Change, Co-founder of the Association Àtic. Centro de Recursos y Actividades Creativas del Solsonès , Founder of the Association ACNE. Artistic Rural Revitalisation. El Centre d’Art i Natura de Farrera is a work residence for artists and researchers from all over the world. Situated at an altitude of 1,360 m in the heart of the Catalan Pyrenees, 250 km from Barcelona and not far from Andorra, the village of Farrera (25 inhabitants) benefits from an exceptional and peaceful setting ideally suited to reflection, inspiration and creative work. Apart from its residential service, the Centre d’Art i Natura (CAN) organises grants and exchanges, courses and seminars, exhibitions of works from its art collection, publications and original editions, as well as performances and presentations. 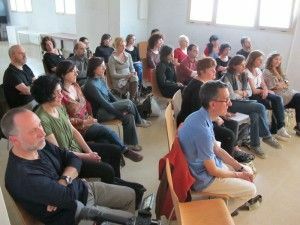 Priorat Centre d'Art began its activities in the summer of 2006 with the aim of establishing a contemporary art centre in the Priorat region. 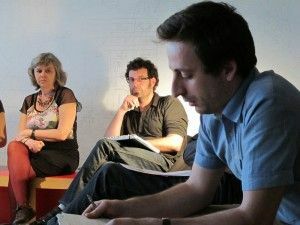 As a prelude to this future centre, a series of lines of research have been established and launched which will define the facilities, and which have been, and continue to be, developed gradually; a series of actions allowing the introduction of concepts and multidisciplinary formalisations inserted within contemporary culture. “CAMPO ADENTRO” is a project that examines the role of territories, geopolitics, culture and identity in the relationship between the city and the countryside in Spain today.